Learn how to write resumes that get you HIRED with our FREE guide. From watching Myspace Tom smile in front of his whiteboard, to blocking racist relatives on Facebook, to finding an Instagram filter that mimics the Ektralite camera you had as a kid, social media has become part of our shared human experience. (In America alone, seven out of ten people use some form of social media, according to a Pew report.) But beyond being a timesink—cat memes, food pics, oversharing, and passive aggressive comments from family members—there’s a practical, professional use for social media you might have overlooked. 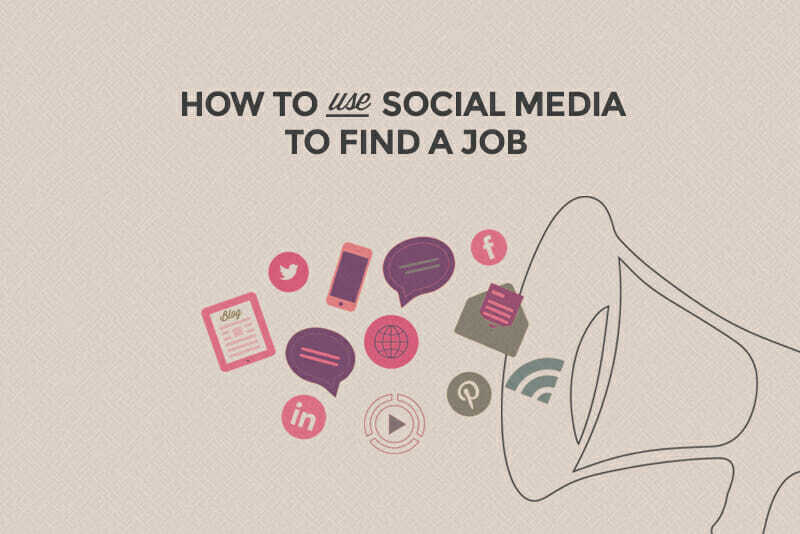 Instead of distracting you from work, social media is actually a fantastic resource to help you land a new job. All the tools you need to market yourself and turn Instagram, Facebook, Twitter, LinkedIn, and Tumblr into powerful search engines for finding work are built into the sites themselves—it just takes a bit of know-how to get started. So read on as we break down a few quick and easy ways to turn social media from a time-waster to a life-saver. If you’re looking to put a platform to work for your job search, sprucing up your own profile is the place to start. Any employer you search for and contact online will be looking back at you—not only your profile on the site you’re contacting them through, but other sites you’re active on as well. Take a moment to kick the tires on any of your publicly visible accounts—even the ones you set up years ago and haven’t updated since. If you’ve lost track of your accounts—and even if you haven’t—be sure to google yourself and see what comes up. If there’s anything at all that might give a potential employer pause when hiring you, make sure to delete it from your profile (this can be anything from outdated resume information to pictures or posts that present you in an unprofessional light). On Facebook, for example, click on your own profile, then the three dots in the lower right hand corner of your cover photo. This gives you the option to “View As” and it will show you your public profile, so you can audit what the world outside your friend group sees. This is your opportunity to link your blog posts about web development projects you’ve been working on, or repost articles you’ve been reading that dovetail with the interests of a company that’s hiring. And don’t be shy about casting a wide net. While dedicated career and resume sites like LinkedIn are obviously important places to market yourself professionally, make sure your Twitter, Facebook, and Google+ accounts are also in on the act. Remember that social media profiles is that they work both ways. While employers will be examining your social media footprint, you can—and should—be doing the same to them. With this in mind, narrow down a list of five to ten companies that represent the kind of work you’re interested in. Start following them on Twitter and Instagram and see how they’re presenting themselves through their social channels. You’ll glean critical information about the personalities of these companies, their values, what kind of employees they’re looking to hire, and if their current employees are happy there. And, you can then start tailoring your own social media presence to gel with company-specific interests. For every person on your social media feed who threatens to rage-quit the platform in favor of spending more time with “real people,” think of network that social media has brought into your life in a positive way—acquaintances who’ve become friends, old friends you’d lost contact with, and people you haven’t actually met in person but who you’ve connected with online. Now think about what this means when it comes to looking for work. Krystal Rogers-Nelson, Safety and Security Expert at A Secure Life, says her current job found her through a private Facebook message from a Facebook friend. “From a recruiting perspective, asking your employees to refer qualified people in their network via Facebook or LinkedIn private messages [helps employers] find people that already have a good reference from someone they know and trust,” says Rogers-Nelson. Personal connections and relationships will always give you a leg up on getting hired. By searching out and participating in relevant groups (especially on LinkedIn, Facebook, Tumblr, or industry-specific sites like Behance or Dribbble), you can meet people in the tech field, share coding ideas and tips on the best ways to freelance and work remotely, and maybe even be the first to know about employment opportunities. It’s a small world—particularly when it comes to hiring—and the more people you know in the industry, the better chances you have of landing a job, so make sure you’re active and meeting as many new people on tech-related social media groups as you can. While the idea of trending on Twitter is sometimes overblown, social media trends have a direct benefit when you’re looking for work. By keeping tabs on trending topics relevant to tech, you’ll add to your vocabulary and repertoire of topical tech issues, and you’ll have something industry-relevant to talk about in your next job interview. This is a handy tool to have both during interviews and when networking and looking for new opportunities. In addition to overall trends, make sure you keep a close eye on the specific tech companies and potential employers you follow on social media, and see what kind of patterns come up internally and across companies. Is there a particular coding language that’s all the rage right now? Is there a new technology hitting the market that people can’t stop buzzing about? Do different employers have conflicting views on a certain hot topic? Having this kind of information front-loaded will go a long way to catapulting you from “faceless resume” to “future colleague” if you snag an interview. 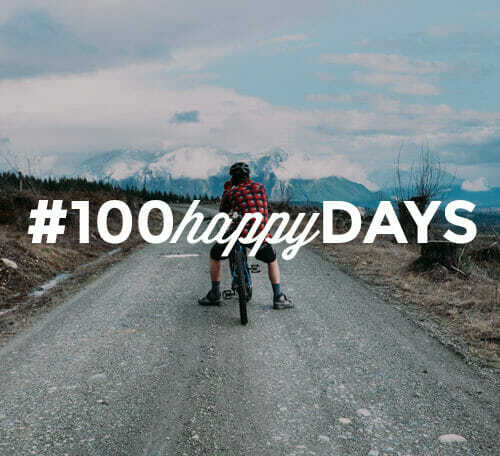 It might be easy to forget, but hashtags on social media sites like Instagram and Twitter aren’t just snarky bookends to add to a witty post—they actually have a practical function. By following hashtags you can quickly and efficiently search for content (like job listings) grouped around those keywords, and you can also flag your own content with hashtags to make it easier for employers to find (or stumble across) you. A simple way to supercharge social media platforms into a job hunting search engines is to use the free web service Hashtagify. Hashtagify lets you search Twitter hashtags by subject, so if you type “tech jobs” into the search field you’ll get the result #techjobs, as well as the top ten hashtags related to #techjobs, and a sidebar ticker of recent #techjob tweets (many will be job listings). Similarly, you can use Hashtagify to see what hashtags are relevant to use in your own job seeking tweets. Social media has made direct contact ridiculously easier than it was in the pre-Friendster dark ages. Yes, you can sometimes get a retweet from your favorite celebrity, but—more importantly for your employment prospects—you also have a direct line to potential employers. If you’re trying to contact an employer directly, LinkedIn accounts are a lot easier to find than email addresses, and it’s generally not considered overbearing to try and connect on a platform like LinkedIn that’s meant for networking. This includes direct messages, because they usually go to a social media specialist whose job it is to interact with the public. Use caution with this approach on more personal sites like Facebook and Instagram, though. “Definitely do not friend request a hiring manager or recruiter on Facebook.” Noto says. She advises keeping this kind of contact to LinkedIn and Twitter. Staying in touch goes for any contacts you make at conferences or tech meetups, too—as soon as you get to know someone professionally, invite them to connect on social media, but again keep this to less personal sites like LinkedIn and Twitter. Out of sight is out of mind—so stay respectfully in sight. Once you’re connected virtually, you have the chance to turn a one-time meeting into a longer-lasting resource that is beneficial to you both. On the job hunt? It’s time to spruce up that resume. 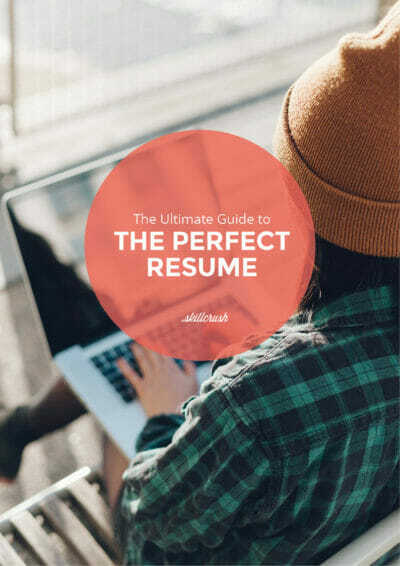 Download the free Ultimate Guide to the Perfect Resume to learn exactly how to format your resume so it gets read and to write one from scratch in 15 minutes or less.